Announced at the same time as the supermarket giant’s Q3 financial results, the three-year strategy will focus on three key areas: Improving the core offer; innovating products and services to better meet customer needs; and initiating new efficiencies through Woolworths’ ‘Lean Retail’ model to improve customer service and value. A notable component to this new strategy is how employees will be measured in terms of performance. Banducci said a simplified, customer-first system will be introduced for measuring the in-store teams, with a new 8-metric scorecard replacing its former 20-metric system. This will put customer metrics at the top of the rankings, the company said. Woolworth has also brought on an additional 58,000 work hours per week to lift customer service levels in-store, and will add a further 63,000 in the next financial year. To support this, the Australia and New Zealand food businesses have been brought into one division under Banducci. The change in his role comes just three months after he was appointed MD of Australian Food and Liquor. In addition, the retailer flagged a revised and improved loyalty system is on the cards, with more targeted customer offers. This will be supported by the recently launched customer insights tool, Checkout, which is being fuelled by data and smarts from Woolworths’ investment into data consultancy, Quantium. With regards to product innovation, the company is establishing a new division, called Woolworths FoodCo, which will have responsibility for developing new product categories, improving fresh meat supply and processing, and improving sourcing partner relationships, the company stated. As part of this, the retailer has struck a 12-year partnership with food manufacturer, Beak and Johnston, to deliver a dedicated facility to produce ready-to-cook and ready-to-heat meals. But price isn’t to be forgotten. Banducci noted the first wave of the strategy and investment program had already resulted in $125 million of price reductions for customers since January. The retailer also admitted the new pricing and value strategy was about neutralising Coles and containing Aldi’s impact on sales. “So we will not be beaten on price, and we will provide better convenience, superior freshness and a more appealing range, and a focus on innovation,” Banducci said. Online is another a key pillar in winning over customers and a growing component of Woolworths’ revenue. As well as matching online pricing with store pricing, the retailer is opening up 250 click-and-collect locations in the next two years, including drive-through collection points for online shoppers, taking the total network to 1000 stores. 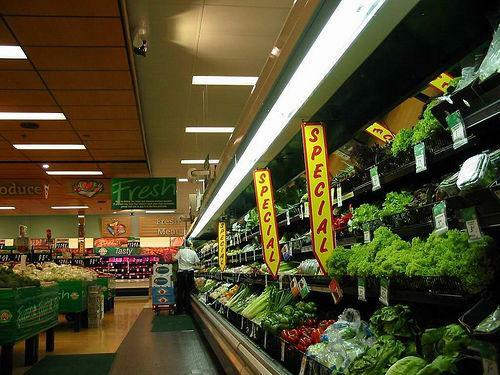 To support the investment, Woolworths is developing what it calls a ‘Lean Retail’ operating model, expected to generate more than $500m in cost reductions in the next financial year. The program of work kicked off last July in non-customer facing operations and saw more than 400 jobs shed as part of supply chain and back-office process changes. “We have 14.6 million regular customers and 500,000 online customers, and they are visiting us more frequently than ever before, but they are also getting fewer of their needs exclusively from us,” Banducci said. According to its Q3 results, Australian food and liquor sales were worth $10.6 billion, an increase of 2.3 per cent year-on-year.